Peter Tomka (b. 1989, Des Moines, IA. Lives and works in Los Angeles) is currently a 2020 MFA candidate from the University of California Riverside and holds a BA from the University of Iowa. 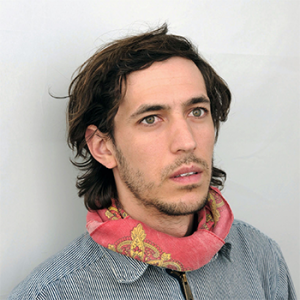 Recent exhibitions include ‘Transparent Papers, Temporary Wall’ at the Phyllis Gill Gallery in Riverside and ‘Ghey Scarecrow Doesn’t Know What to Wear’ at Human Resources in Los Angeles, two installations where photo documentation of performances are the central exploration. Visit Peter Tomka for more information. Peter Tomka’s interdisciplinary art practice explores not only photography but installation and performance work as well. 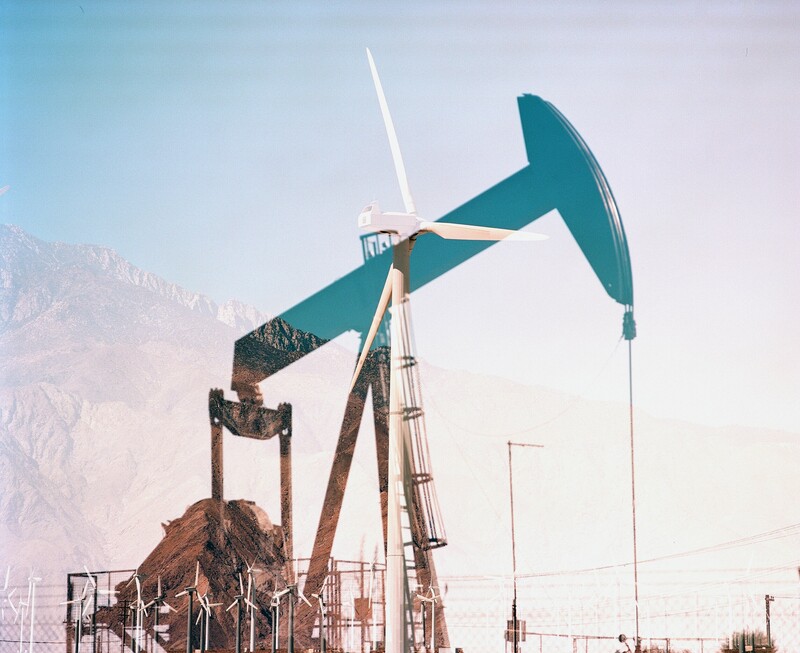 This Untitled photograph on loan to us is remarkably specific: In a quiet double-exposed landscape, he counterposes two ubiquitous elements of the California terrain, the wind turbine and the oil pump. As we travel the state, the presence of these two dueling energy sources remind us of our history and foretells our future. Their coexistence and the need for power, as our population grows, becomes more urgent. The Lt. Governor is a custodian of California’s environmental heritage and prospects, and the eloquence of Mr. Tomka’s piece references the balance and reminds us of the importance of this role. Peter Tomka’s photos serve as both the invitation and memento mori to social events taking place in rearranged spaces. Recent performances include ‘Tour the Coliseum’ & ‘Present Yourself at the Table’ following Sparkling, Still, or Spirit: The Ansonia Survey, an exhibition he curated. Tomka is currently a 2020 MFA candidate from the University of California Riverside and holds a BA from the University of Iowa in 2011.